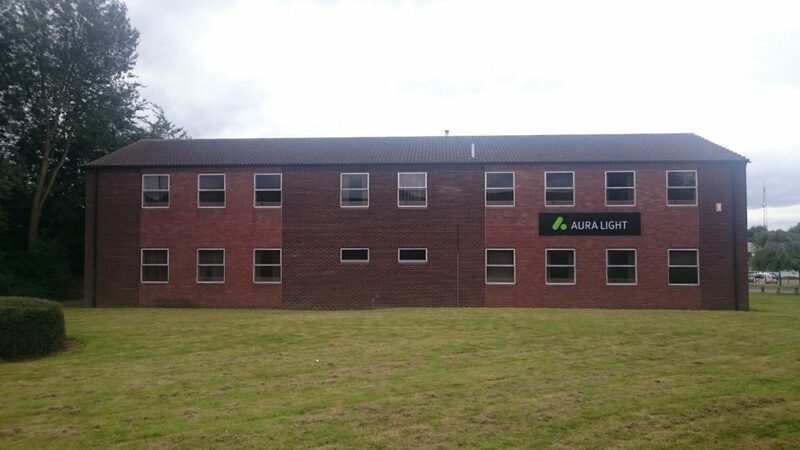 Relocation to larger new premises earlier this year has signified a new direction for Aura Light in the UK, for it has now grown into a major player in the fixtures market from its long established base as a lamp manufacturer. In the fast expanding LED market, Aura Light now offers a number of commercial and industrial LED fittings from modular ceiling luminaires for offices through to LED light engines for spots and downlights and LED equivalents of high bay and low bay fittings for industrial applications and car parks. And with Aura Light’s acquisition in February of Zobra, a Swedish luminaire manufacturer, it has brought with it the respected brand of Noral and its complete high quality exterior lighting range. Aura Light UK is excited about its future, Simon Taylor, Managing Director commenting, “ We now have a very comprehensive offer in sustainable lighting solutions covering both interiors and exteriors. We have become a technology independent company providing not only LED but also HID and fluorescent options, all with guaranteed life.” He continues, “Our strong reputation in long life market regardless of whether it’s our 80,000 hour T8 lamps or our exciting new LED product range, has put us at the forefront of long life solutions”. As a company that has been manufacturing long life lamps since 1980 and that has specialised in lamps since the 1930’s, Aura Light has always offered long guarantees and this continues to be the company’s strong point. The guarantee applies to the lamps and fittings across the entire range of HID, fluorescent and LED and in some cases such as street lighting, 12 year guarantees are able to be given. As a Swedish company, sustainability comes naturally to Aura Light. The company has a strong belief in environmental, social and economic responsibility for long term success and this is reflected in its suite of management systems with ISO 9001 for quality, ISO 14001 for environmental and ISO 26000 for social responsibility management. It is also mirrored in its achievement with 90% of sales being long life products and solutions; 95% of waste materials from production being recycled; its power is from 100% green electricity; and through its partnership with ClimateCare on climate compensation which has resulted in CO2 reduction of 1,554 tonnes. The group’s products are specified on some prestige projects. One of the most recent in the UK is the LED fitting roll-out for the Virgin West Coast line, other examples from around the world include lighting for the European Parliament in Brussels, Pfizer, the Coca Cola production plant and the lighting for JCDecaux advertising hoardings. Aura Light was also awarded earlier this year the 2015 Entrepreneurial Company of the Year Award based on recent analysis of the lighting market made by the global group consulting company Frost & Sullivan.